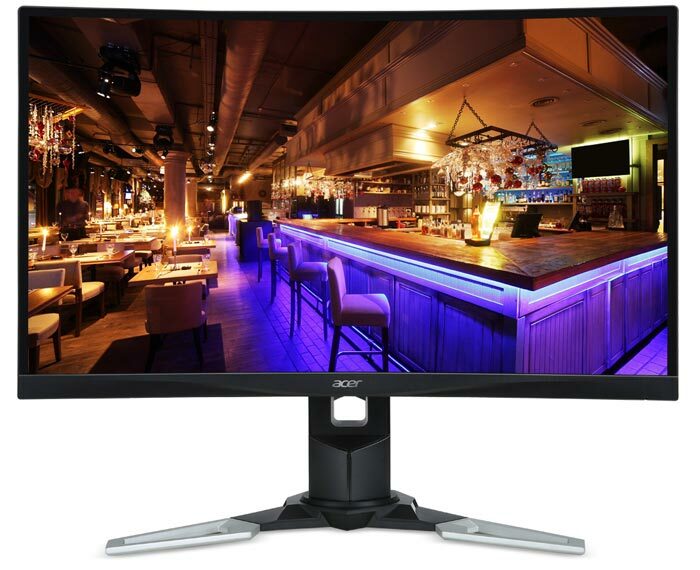 Acer has launched a pair of new gaming monitors that are bristling with desirable specs. 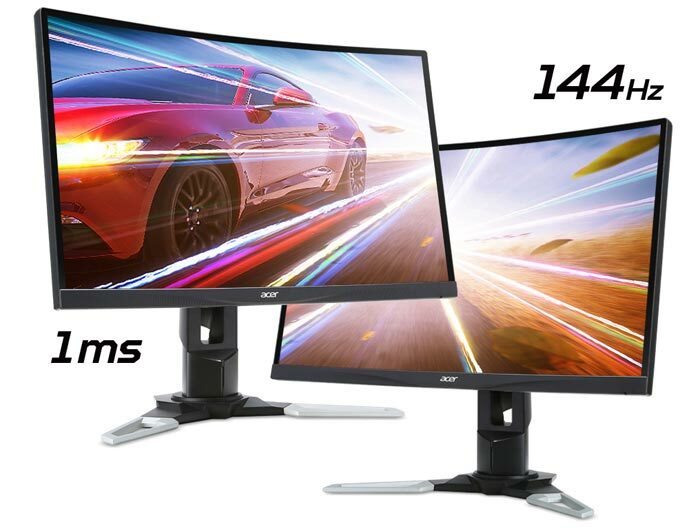 The Acer XZ271U and XZ321QU gaming monitors both sport HDR10 curved VA panels with a 2560 x 1440 pixels resolution, a 3000:1 contrast ratio, 1ms MPRT response times, a 144Hz max refresh rate, plus AMD FreeSync. As you might guess from their codenames these are 27- and 32-inch monitors, and they vary by offering max brightness levels of 250nits and 300nits respectively. As noted by AnandTech, these monitors share some design elements from the Acer Predator range. The source has also put together a nice comparison spec table, however the monitors are identical except for their sizes, and size related specs (such as pixel density and power consumption), and the max brightness levels noted in the intro. 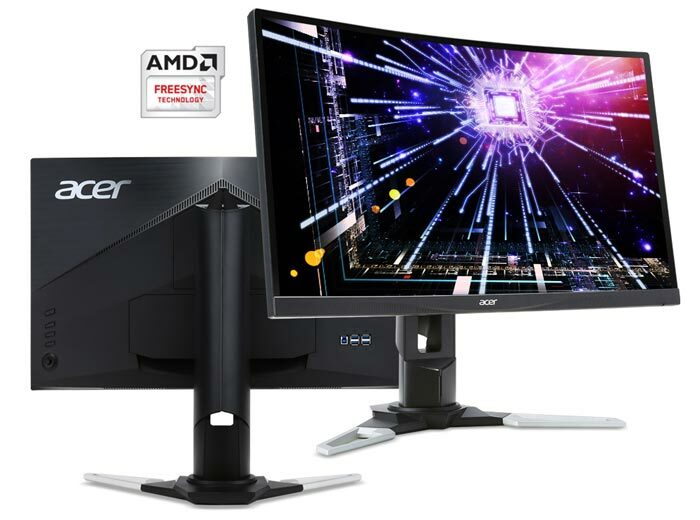 Beyond the essential tech specs listed above these monitors come with Acer's own choice of proprietary enhancement such as; Acer Black Boost, Acer Flickerless technology,. Acer Blue Light shield, plus PBP / PIP modes. I couldn't find these new monitors listed in the UK at the time of writing, just the older models without the 'U' suffix. On Amazon US the 27- and 32-inch models are listed at $527 and $550 respectively, quite a bit higher than the Japanese prices of ¥48,000 ($427) and ¥55,000 ($490) respectively. Apparently it's either “HDR10” or “1 ms MPRT”, not both at the same time. Considering that HDR10 on this monitor boils down to pure marketing speak, I'd personally just go with the faster response time (depending on how *that* works out). I wonder how the panel stacks up against the IPS (AHVA) panel used in the XB271HU, qualitywise. It seems sourced from Samsung, whereas the AHVA panels used in the XB271HU, ASUS PG279Q and similar are sourced from AU Optronics, which coincidentally is owned by Acer.